Before experiencing the “most beautiful drive in America” through the Beartooth Mountains, you’ll have one last chance to enjoy civilization in Red Lodge, Montana. 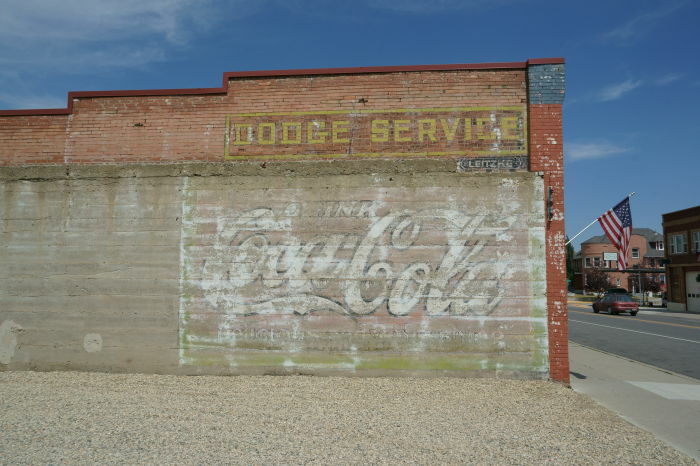 This small town has fully surrendered to its role as a tourist destination, but despite the Yellowstone-bound crowds it still maintains a wild-west feel. You can use it as a launchpad to your trip, or just as a stopping point along the way to the Beartooth Highway and Yellowstone’s northeastern entrance. Red Lodge is located on US 212. From Billings, take I-90 west to US 212 west/310 south, then stay on 212 when the roads split. It’s about 60 miles from Billings to Red Lodge, but expect a slow-go after exiting the freeway, due to heavy traffic and lots of RV’s. The first challenge in Red Lodge is finding a parking spot. On the day I visited (admittedly, at the peak of the tourist season in July), I did manage to find a parallel parking spot on Broadway Avenue, the main route through town, but maybe I was just lucky. Once you’re out of the car and on your feet, take a walk through town. 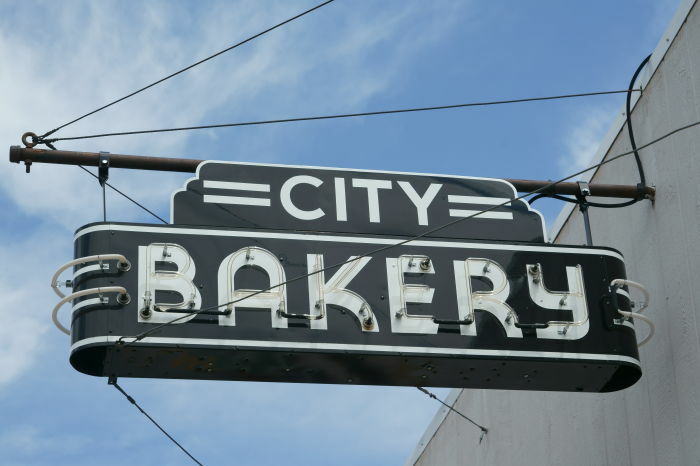 … as well as some nice neon signs. 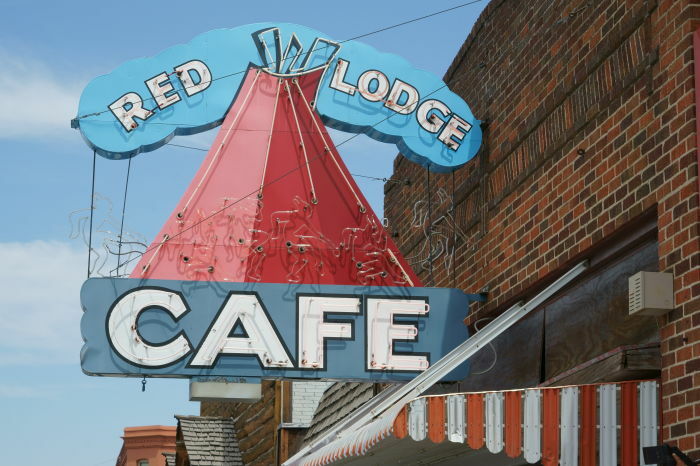 I’m willing to bet that this sign for the Red Lodge Cafe is one of the most photographed neon signs in Montana. 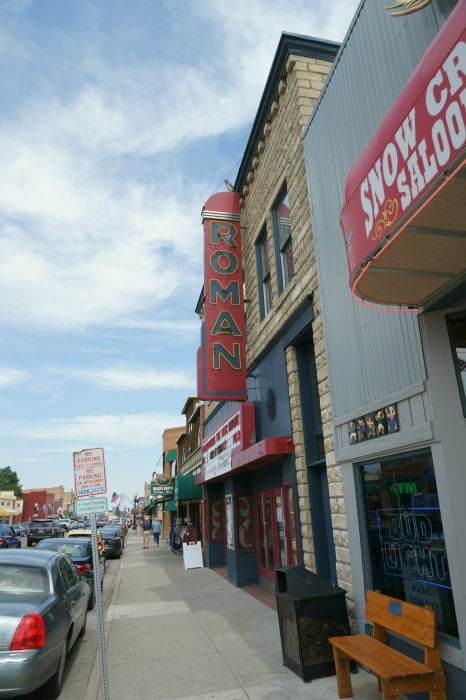 Although it’s easy to think that Red Lodge exists purely for tourists, it is a real town with real people living here. 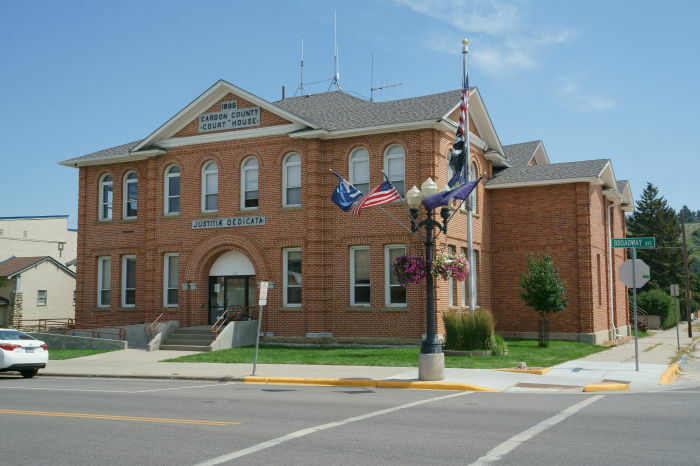 It’s also the county seat for Carbon County, Montana, and as such, there’s a small but stately courthouse on Broadway Avenue. I checked out a few souvenir stores and an excellent candy shop (every tourist town has one, right? ), then continued towards the mountains. I knew the biggest attraction was still ahead: the road Charles Kuralt called the “most beautiful drive in America”. And unlike my first drive across the Beartooth almost a decade earlier, the weather was perfect, and I was anxious to see everything I had missed the first time. Red Lodge can either serve as a brief fuel-and-food stop, before tackling the Beartooth Highway, or you could spend the night here, and enjoy many of the town’s restaurants and shops. It all depends on what you have time for, and how anxious you are to get to the mountains.